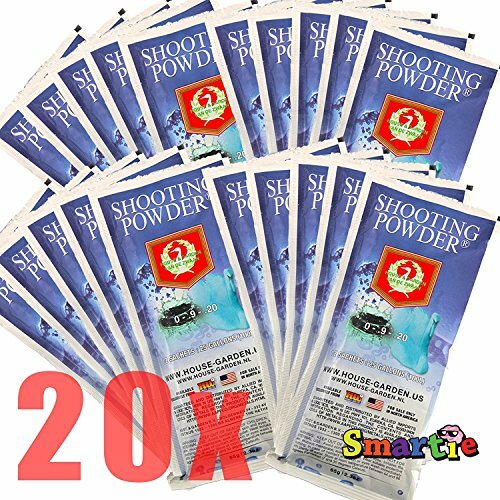 The secret of every successful grower is shooting powder. This sparkling bud expander is the absolute best in the field of flowering simulators. It gives visible results, can be combined with all base nutrients, is packed in handy sachet, simple to use, and has been extensively tested in house and gardens research and development center. It has moreover earned our customers complete satisfaction. Try it once and you will come back for more. This flowering booster starts a new flowering cycle after the regular flowering phase, significantly increasing the fruits weight. The extra yield after applying this nutrient additive with surprise you. It actually creates a new layer of top of the existing fruit. Output increases of over 20 percent can be reached this way. If you have any questions about this product by House & Garden, contact us by completing and submitting the form below. If you are looking for a specif part number, please include it with your message.